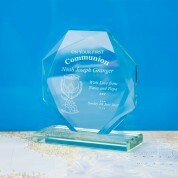 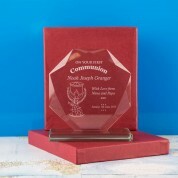 This ''On Your First Communion' cut glass award is a thoughtful gift to give on a child's special day. 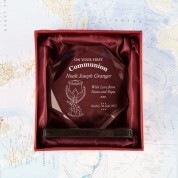 It features a Eucharist illustration, alongside the details of the day. 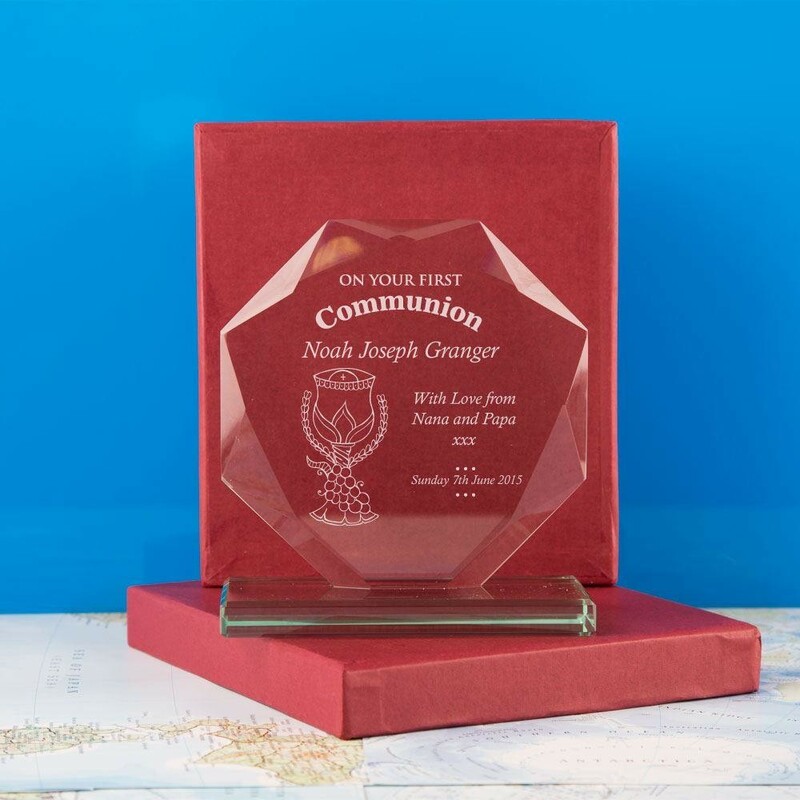 The text 'On Your First Communion' is standard.